The natural gas utility serving the Kenai Peninsula, Anchorage and the Mat-Su Valley is still looking for leaks and assessing the damage to thousands of miles of gas lines following Friday’s earthquake. 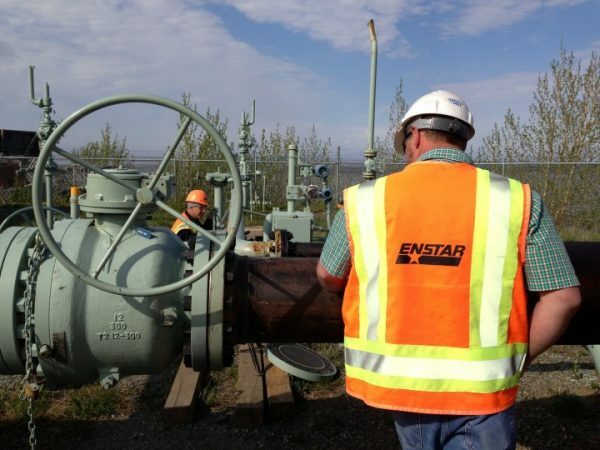 Enstar spokeswoman Lindsay Hobson said the company put the call out for customers to report signs of leaks. Most reports are from Anchorage and the Mat-Su valley near the earthquake’s epicenter. But there’s also calls coming from the Kenai Peninsula. The company called in former employees and extra help from the Lower 48 to inspect homes. The focus now is on inspecting nearly 3,500 miles of gas lines from Houston, Alaska to Homer. It’s unknown how long the work will take. Technicians are flying in and traversing remote terrain on snowmachines to do the job. The company is encouraging customers to inspect gas lines in their homes. Enstar is also reminding homeowners to call the Alaska Digline at 811 before starting any repair projects requiring digging.